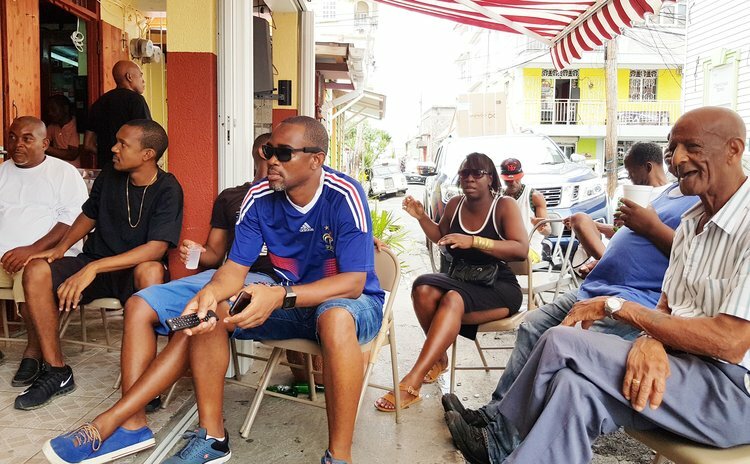 As the rest of the world allows itself to be gripped in the clutches of the 2018 Football World Cup, Dominican football fans are beginning to indulge themselves. As they should. If you check their pulses you will diagnose that they are really enjoying the pain of football fever. "I am satisfied with how the World Cup has been so far; it's fun and exciting. My team is Brazil," said Phillip "Sharks" Scotland. For Dominicans who are in the process of recovering from Hurricane Maria, World Cup football is a welcome escape at least for those who now have television access. They are watching through DIGICEL who announced in May that they have secured broadcast rights for the 2018 FIFA World Cup Russia. The football World Cup kicked off last week Thursday in the 81,000 seater Luzhniki stadium in central Moscow. Host country Russia, ranked 70th in the world, took on 67th-ranked Saudi Arabia. The games will be played across 12 stadiums, spanning a huge distance—with the most eastern in Ekaterinburg, 1,800 miles east of the stadium in Kaliningrad, Russia's European territory that borders Poland and Lithuania, reports Time Magazine's Siobhan Morrin. "With 64 matches over four weeks, there are likely to be surprises—especially with video assistant referee (VAR) technology making its World Cup debut after a widely criticized outing in the 2017 Confederations Cup," he wrote. "France and Germany are both considered strong challengers to the South Americans, especially playing closer to home. This tournament is likely soccer superstar Cristiano Ronaldo's last shot at winning a World Cup. The 33-year-old Portuguese captain has won the European Champions League five times with two teams and set scoring records, yet the World Cup trophy remains elusive".